External speakers for Cb radio, 10 meter radios and radio scanners from Texas Ranger, ParaDynamics, Uniden and other external speakers. A higher wattage external speaker of 10w or more will be clearer and will not rattel at high volume. 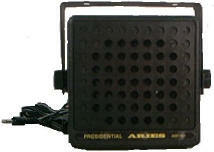 Also a PA speaker is listed for Cb radios with the Public Address feature and PA speaker jack. 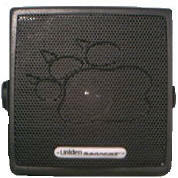 These are typically used as a loud speaker and placed under the hood of the vehicle. 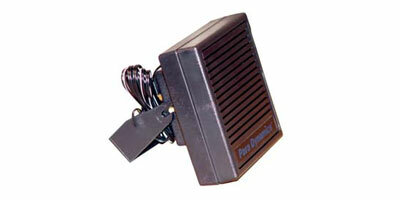 The PA speaker is very loud and can also be used as an external Cb radio or scanner speaker. 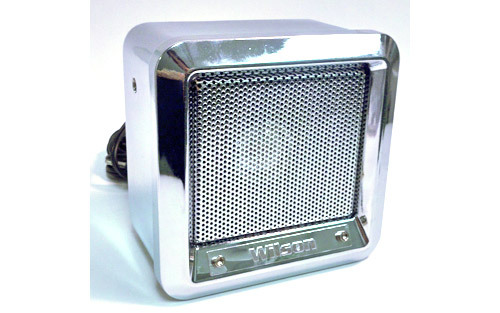 Wilson Chrome external speaker. Perfect for Cb radios scanners and more. Made of steel not plastic. This is similar to the discontinued Ranger SRA168CP external speaker, very loud and clear. The Aries brand is discontinued. We will send a speaker that looks similar with a different brand name. Currently Barjan. The Aries brand pictured has been discontinued. We will send the same speaker with a different brand name, currently Vanco. The Aries brand pictured has been discontinued. We will send the same speaker with a different brand name, currently Uniden The size may vary from the picture and the measurements given. *5" inner diameter and 5 1/4 outer diameter at the front of the cone. *Specify color after clicking "View Detail. Excellent speaker for any Cb radio. Works very well with 10 meter radios and Cb radios to help reduce feedback when talk-back is used. *Recomended for Galaxys & other radios with "talk back". *Like the motorola speakers used in police cars.